Allo Remote Control is the remote control specialist on Internet. 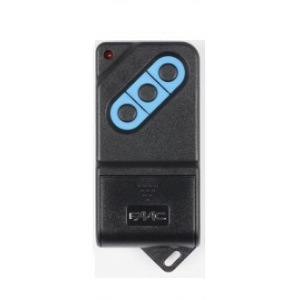 We offer a large range of gate remote control and garage door remote control models for all types of automated gates, doors and barriers. 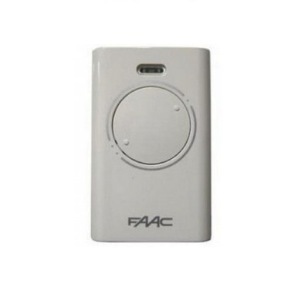 FAAC XT2-868 SLH is a high quality remote control that will take the monitoring of your electric gate and garage door openers to the next level. Programming FAAC XT2-868 SLH is the easiest thing in the world; you only need to follow the instructions supplied with your order! 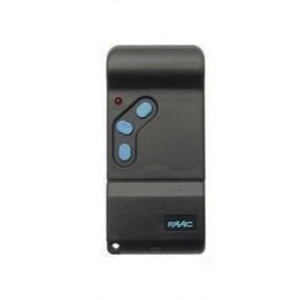 FAAC XT2-868 SLH remote control provides an ideal way to automate the opening and closing of you gate and garage door. This transmitter is programmed on a self learning mode. 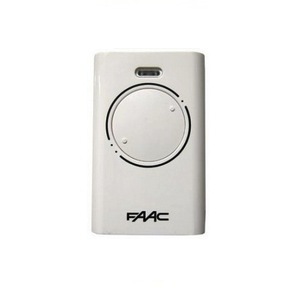 FAAC XT2-868 SLH has 2 white buttons in an elegant white case. It works with CR2032 batteries in 868.350 MHz. FAAC XT2-868 SLH has a practical and modern design, which makes it highly ergonomic and user-friendly. FAAC XT2-868 SLH 787009 is COMPATIBLE with FAAC 868 SLH. New case, compatible with FAAC 868 SLH. The colour of the logo FAAC varies according to the model ! Allo RemoteControl © 2019. All Rights Reserved.